Peel out with a new vehicle that smashes its way into Battle Royale and explore experimental missions in Save the World. Propel yourself and a friend into battle with this new two-seater vehicle. A new “Events” tab has been added along with several in-game tournaments! 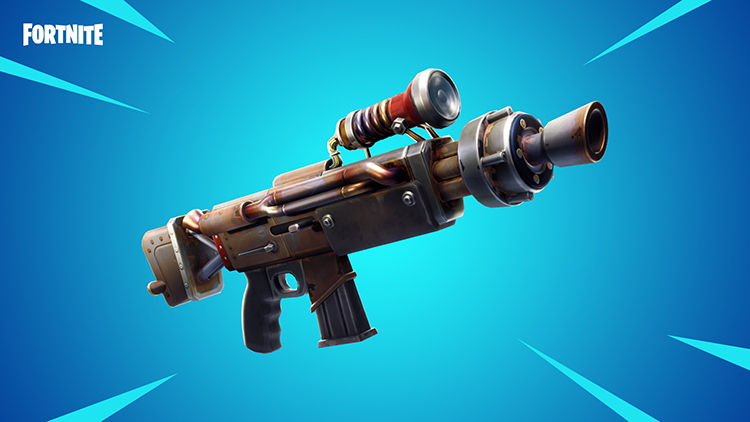 Send Husks straight to the grave with this returning rifle. Send a stream of slugs towards enemies with this new semi-automatic weapon. Participate in Beta Storms as a way to test new content and experimental ideas. Let us know what you think about this limited time mission alert. Fixed small props accidentally blocking Trap placement. If your PS4 Pro is plugged into a 4K TV, the game now renders at 1440p instead of 1080p. Audio memory optimizations for Xbox. Physics optimizations for cosmetic items. Reduced all bandage spawns by 50%. increased the variability of where you can spawn by 30% along your sides storm circle. Brought in the side dance floors closer to the Storm edge. Reduced max respawn distance by 20%. 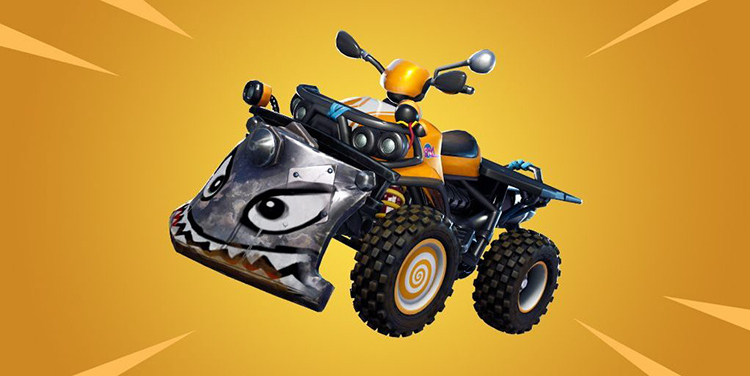 The Port-a-Fortress has been disabled as we work to resolve some issues related to this item. Drop rate for Port-a-Fort increased from 3.05% to 4.89% while Port-a-Fortress is disabled. The goal is to keep the drop rate of Port-a-Fort the same as if both items were enabled to help with the completion of Challenges. Players will no longer permanently attach to a Supply Drop when grappling to it. Attempting to fire while reloading the Double Barrel Shotgun will no longer interrupt the animation. Weapon equip animations no longer skip when simultaneously attempting to sprint and target. You build boost just by driving. Unleash that speed with the hotkey once you’ve filled your boost meter. Smash through buildings while boosting. Boost off ramps or cliffs to catch sick air. Launch players into the air by smashing into them. You can now view and change Edit Controls separately from Combat and Build Controls in the controller menu. PS4 controller lighting will match player marker color. You can now set building mode sensitivity for controllers in the options menu. It is a multiplier on the default controller sensitivity and allows up to a 2x increase. Controller sensitivity slider in the options menu now allows for more than 10 values. Added an option to Builder Pro that allows for building as soon as you switch to the piece, instead of selecting first and then placing. This allows for faster building without a preview. Added an option that allows for edit hold timing to be adjusted. Opening the Emote Picker with a controller will happen when the button is released, while holding the button will replay the emote that was last played. Fixed inconsistencies with the damage trap not triggering properly. Fixed problem with character orientation getting stuck after falling off the island in a vehicle. Tournaments can be found inside of the new ‘Events’ tab available in game. This tab will host a variety of online competitions which are open to everyone. Jump in and explore! Each tournament has a series of scheduled dates and times that the competition will be run. A carousel of all upcoming competitions and times will be available for browsing, so you can plan and practice. Every scheduled session is a completely clean slate with all players starting on an equal footing at the beginning of play. Compete over the course of several hours to earn points by eliminating multiple opponents or surviving against the competition. Players are matched against opponents with similar scores during the session. Score enough points during any scheduled event session and you’ll earn a golden pin for that tournament! Weapon replication optimization for dedicated server to reduce load during rapid weapon switching. We’ve made CPU performance optimizations on Switch across all threads. This results in a smoother gameplay experience and fewer hitches. Improve multi-threading during heavy physics simulation. Celebrate with style. The music selected in your Locker will now play after getting a Victory Royale! Remove the Doppler effect from the audio when players are gliding. Added an in-air loop to Grenade Launcher projectiles so you can spatialize where they’re coming from. Improved Grenade Launcher bouncing audio. Reduced volume of medium-range Grenade explosion sound. Cube ambient sounds no longer randomly play in the middle of matches. Sequential explosion sounds no longer interrupt each other. Added missing audio to the Compact SMG and SMG medium/distant fire sounds. Audio ‘pops’ no longer occur when emote music loops. Re-added the audio cue that plays before a new wave of Supply Drops start appearing. Fixed some touch issues for the controller mapping screen on Switch. Fixed a bug where the player’s banner in the top bar would not update when changing the banner in the locker. Made the reticle hidden when skydiving. Fixed issues with the display of the on-screen map and inventory inputs. Resource buttons no longer cancel auto-run. Cosmetic items that change in some way over the course of a match are now marked as “Reactive” in-game (e.g., a harvesting tool that changes as you get eliminations). Fixed visual display issues with cosmetic music items.. Animation pops no longer occur while in the air after using the Chiller trap. Fixed an issue causing the first replay not be selected in the replay browser. Fixed the nameplate distance slider not working. Fixed an issue where firing guided missiles would start with the camera facing the wrong way in replays. Major performance improvement for devices running Android 7 or earlier. Memory improvements on iOS devices. The first weapon you pick up will now auto-equip itself on mobile. Touch control input now has smoothing enabled. Tapping selected buttons on the build quickbar will once again build the selected build piece. All elements in the Mobile HUD should now be placeable/movable in the HUD Layout Tool. Updated visuals for independent Quickbar slots in the HUD Layout Tool. Drag and dropping on the Quickbar will no longer select the thing you drag. Players can now adjust their inventory without interrupting other actions. Fixing a bug causing some touch input to fall through the settings screen to gameplay. Fixing edit button visibility issues when crouching on Mobile. The minimum power ratings on missions are now enforced depending on the privacy setting of your party. If your match is set to “Public” then the lowest power rating in your party (ignoring any party boost) will determine which missions are available and which are locked. If your match is set to “Private” or “Friends Only” then the group leader’s personal power rating is used instead. This prevents low-level players from being brought up into public high-level missions where they cannot contribute fully to the group, while maintaining the ability for friends to privately play together in high-level areas if they choose. All Plankerton missions now have a minimum personal power rating requirement. All Storm Shield Defense missions in Plankerton and above now have minimum personal power rating requirements. Rebalanced the reward points granted by Missions relative to the average length and difficulty of the mission type. This results in high-level end of mission “treasure chests” being harder to achieve in certain mission types, especially without bonus objectives. To offset this we increased the amount of rewards given per point, effectively increasing mission rewards for the majority of mission types. Portraits of Someone Special quest now uses the correct zone difficulty. Models that were intended to be invisible will no longer appear in-game. 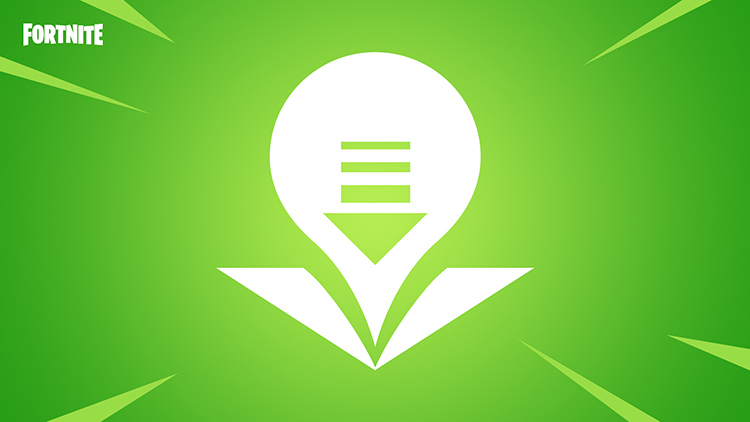 Mega Alerts now have a chance to include the Nature Element modifier. Fixed an issue where some mission types had their rewards incorrectly limited. This issue resulted in many optional mission objectives increasing the “treasure chest” level displayed at the end of the mission, without increasing the actual rewards granted to the players. Selecting a Defender for a Defender Pad no longer causes a hitch on the first attempt. Fixed crash caused by projectiles while loading into a zone. Fixed a crash on Xbox related to particle systems. Tail of the Dragon’s Trail is now visible. Adjusted Lefty and Righty camera to be consistent with similar weapons. Hammer Critical Chance Support Squad bonuses now display correctly in weapon tooltips. Fixed an issue that caused players to get stuck when they hit a Smasher or Riot Husky with Bull Rush. 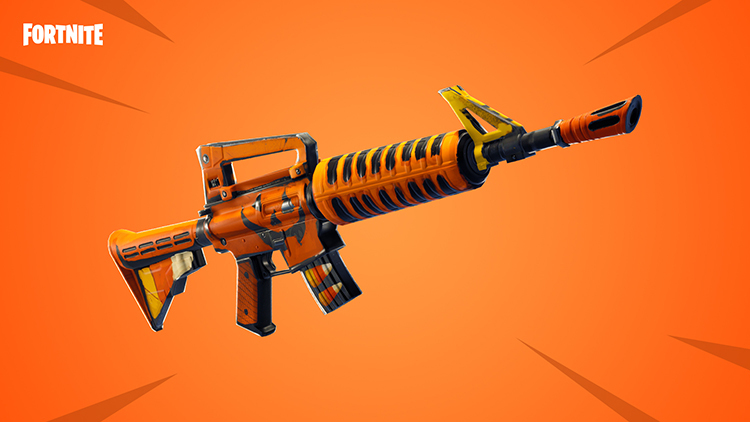 Rat King Assault Rifle added to the Weekly Store. Semi automatic slug rifle that fires powerful rounds. Effective as a mid range rifle with a slow fire rate. Available Wednesday, October 17 at 8 PM ET until Wednesday, October 24 at 8 PM ET. Grave Digger Assault Rifle has returned and been added to the Weekly Store. A spooky assault rifle that fires medium ammo. Gains damage and impact at the cost of accuracy and fire rate. Added Dupe Prevention for Mythic Lead Survivors. When a Llama rolls a Mythic Lead Survivor it will select one that is not already present in your inventory or your Collection Book. If you have all of the Mythic Lead Survivors then it will select one at random. Note that if a Llama offers a choice between two Mythic leads, it restricts the result to a specific type of lead, potentially resulting in a duplicate if you already have all Mythic leads of the selected types. Player Jump Pads no longer consumes space in the Armory. Lead Sled no longer stops attacking when the attack button is held. We’ve introduced a new type of Mission Alert: Beta Storms! Beta Storms are an avenue for testing all kinds of new content. This gives us a chance to see what you think of new content and experimental ideas. Beta Storms are a limited-time Mission Alert. They’ll only stick around for a week or two, and then they’re gone. This week, we’ve introduced a Retrieve the Data Beta Storm, along with a quest line with escalating rewards for trying out the Beta Storm. In this new version of Retrieve the Data you are under pressure as the Storm closes in on the balloon’s landing spot. The Storm will cause damage to you and force the combat into a smaller area when defending the Data. The mission is 20 minutes long and the only way to get the maximum reward is to shoot down the balloon as soon as allowed. This Beta Storm ends when the v6.20 update arrives, so try it out while it’s available. Player character models no longer remain in-game after leaving a mission while in the downed state. Players no longer lose the ability to use heavy melee and other abilities after respawning. Fixed leap attack on the Walloper not focusing on the Riot Husky. Riot Husky now triggers traps. Ammo/resource collection audio cues no longer play when collecting fragment shards or using certain abilities. Fixed Tactical and Support hero squad perks being incorrectly applied to Defenders. There are no longer missing gamepad button prompts for some controller configurations in the tutorial announcement of the first Storm Shield Defense. Collection book context menu no longer closes prematurely on consoles. Unopened card pack counter now shows the correct amount of pack counts in the UI.